Our interactive database Palestine is Here tracks how technologies, weapons, and expertise developed and honed in Palestine are linked to the United States politically, financially and militarily. RAIA authored the newly released 2018 Deadly Exchange Report and continues to support the campaign with tailored research for communities across the nation. RAIA is on a move! Join our team as we make our way to a city near you. 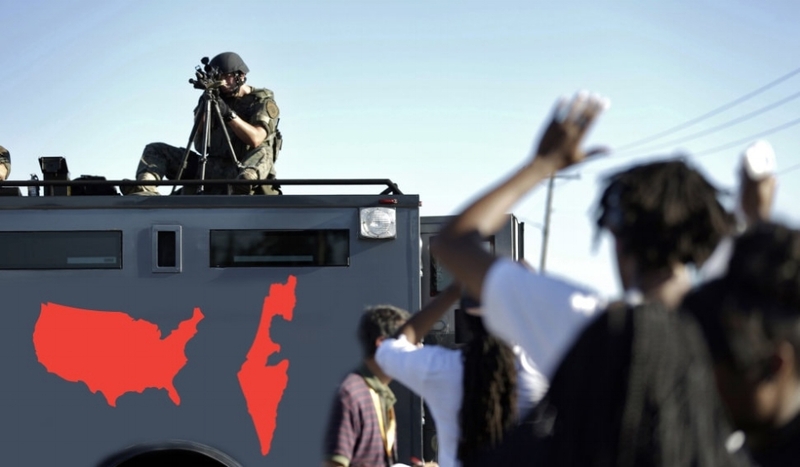 RAIA supplies research to local alliances such as the Durham2Palestine coalition, which aimed to end exchanges between their local Police Departments and Israel. 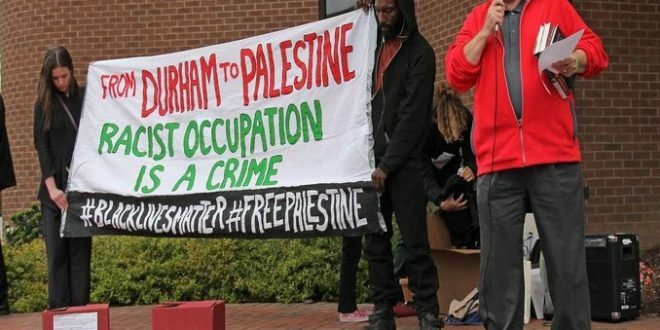 The Durham city council is the first to unanimously vote to ban their police from training in Israel. Palestine has become a laboratory for “security” regimes around the world that intend to suppress, pacify, and even disappear unwanted populations. The ongoing colonization of Palestine is part of a global process of militarization, with Israel as one of its leaders. 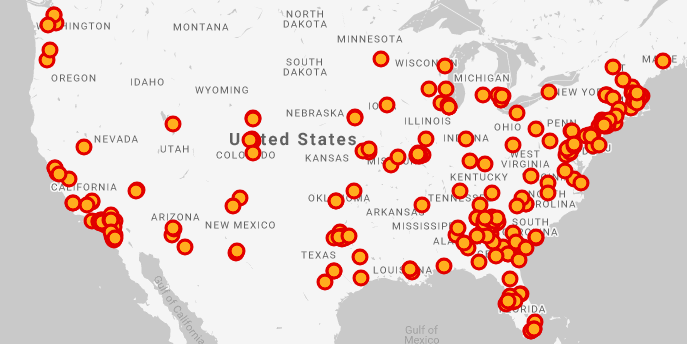 As partners in the global movement struggling for equality, autonomy, and justice for the Palestinian people, RAIA seeks to raise awareness of the close collaboration between the Israeli and American governments to displace, surveil, and control communities of color and other marginalized populations in order to suppress popular resistance. In 2002, just months after 9/11, American law enforcement held their first official training expedition to Israel to exchange “best practices,” knowledge, and expertise in counter-terrorism. Participants were schooled in Israeli practices in intelligence gathering, border security, checkpoints, and coordination with media, and met with high-ranking officials in the Israeli police and military, the Shin Bet, and the Ministry of Defense. Since then, a proliferation of US law enforcement exchange programs with Israel have become standard. To date, thousands of law enforcement officials from across the country have been sent to Israel to meet with military and police forces, and thousands more have participated in conferences, trainings, and workshops with Israeli personnel. These exchange programs facilitate the sharing of practices and technologies between US law enforcement and Israeli military, police and intelligence agencies. 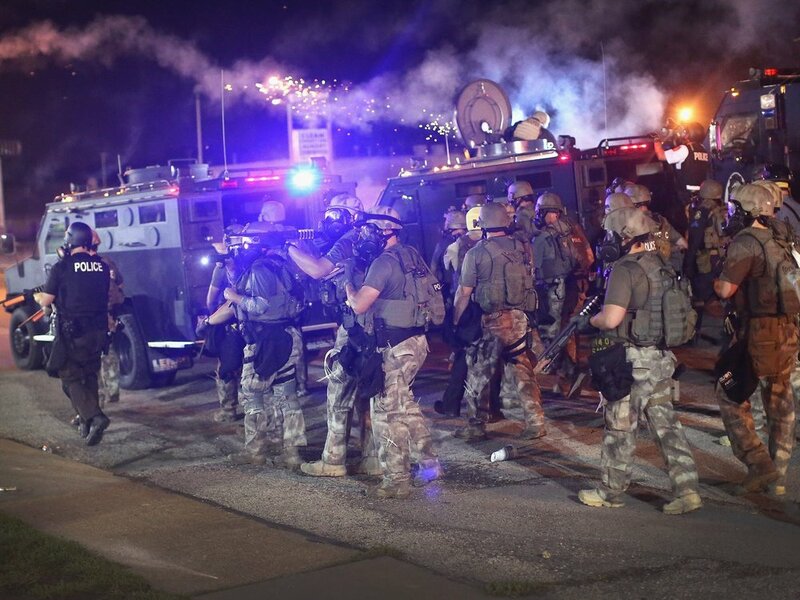 They also introduce militarized logics of security into the civilian sphere, which rely on mass surveillance, criminalization, and violent repression of communities and movements the government defines as threatening. Finally, they deepen ties between US and Israeli officials to shore up support for a shared security model that justifies flagrant human and civil rights violations.